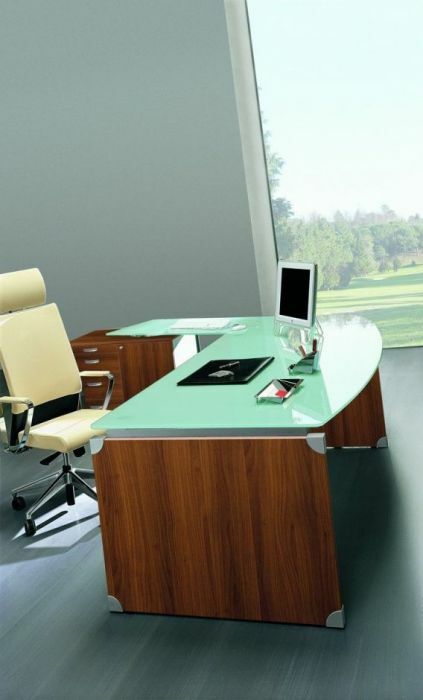 Executive glass workstation in a choice of two sizes with 38mm thick sides in a choice of four finishes. 12mm thick tempered safety glass and Silver ABS corner cap detail. Delivered from stock in 7-10 days. 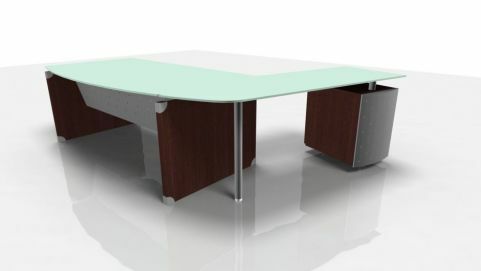 Next style silver metal legs with chrome detailing and a bow fronted and curved desk options. The desk also features curved perforated steel modesty panels and wooden or glass tops. 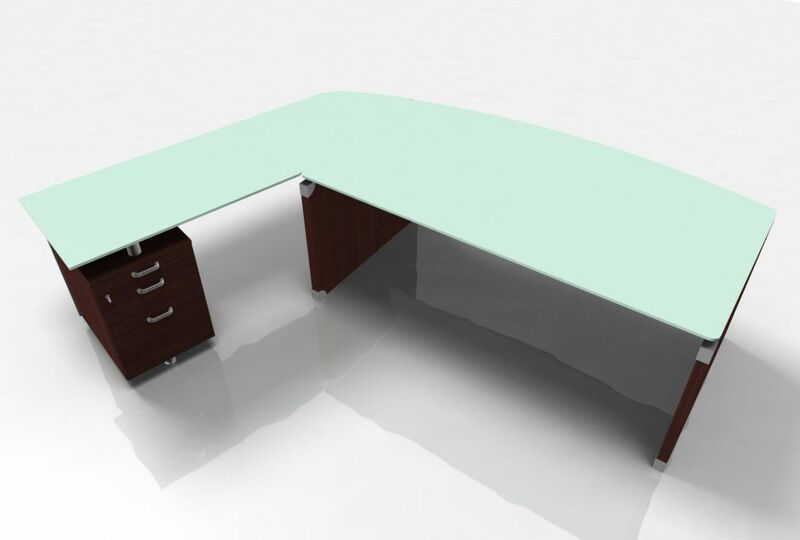 These desks are available for a 7-15 day delivery service, with Installation available on request and for an additional cost. 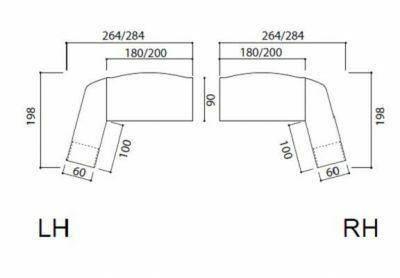 The illustrated composition with pedestal supported glass return is available for a free UK mainland delivery service.